Save 78% on the Night Scope 4x30 Binoculars with 25ft Night Viewing Range! 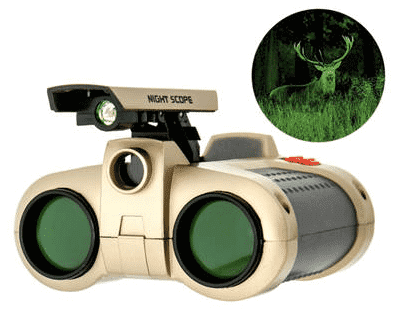 Save 78% on the Night Scope 4×30 Binoculars with 25ft Night Viewing Range! The Night Scope 4×30 Binoculars with 25ft Night Viewing Range, Super Bright LED Light & Carabiner is on sale for $10.99 at Tanga.com right now. That's 78% off the retail price of $49.99! Shipping is just $2.99 for this item!